Routemaster bus hire in Kent. 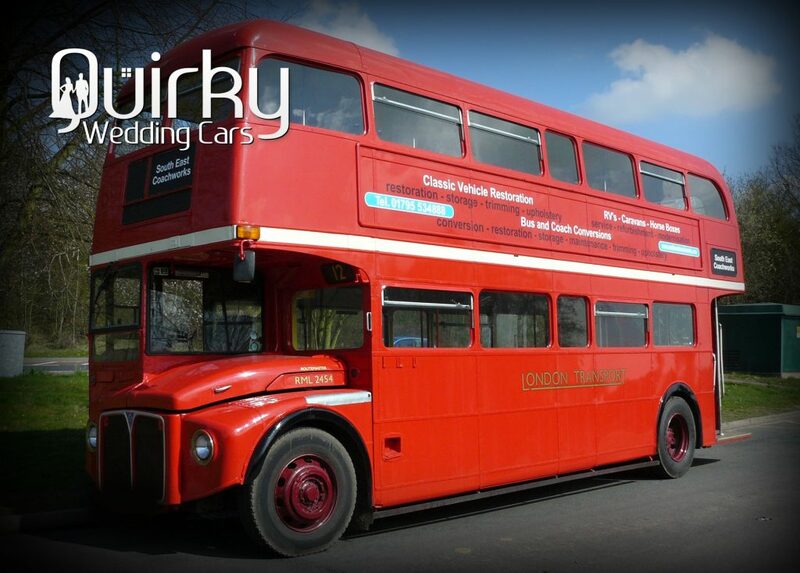 Hiring a Routemaster bus is a great way to add an extra experience for your guests on your wedding day. Holding up to 72 people, it is the ideal transport to carry guests from your wedding to your reception venue. Ronald is our iconic London routemaster ideal for Wedding service. Designed in the 1950s and built in the 60s first appearing on the streets on London in April 1966 in Aldenham. Add the WOW factor to your wedding – the routemasters charm and character are still well-remembered around the world. If you would like a no obligation quotation for our vintage wedding bus, please send us some brief details of your requirements below, you can also call us on 07932 970154 to discuss requirements. Alternatively, if you would like a quote for any of our other cars, please use our main quotation request page.